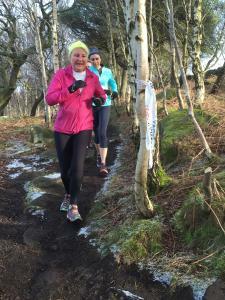 The Longshaw Trust 10 is a popular monthly event with women. The Longshaw edition of the Trust10 is proving a big success at the Derbyshire venue. And it's with women, in particular, that it's really taking off, as Ruth Tweedie, Sports Development Officer at the venue explains. "The Longshaw Trust10 is one of five events happening each month across the country (although that could increase to more venues in the future), from us and Speke Hall (in Liverpool) in the north, right down to Montecute House in Somerset . "This national initiative has been designed by the National Trust to be a natural extension of parkrun – where people can run through beautiful estate properties for free. While events are timed, the emphasis is not on competing, but on taking part. "Events, which run on the fourth Sunday of every month, attract a wide age range and abilities over the 10k distance. They are a free, and people can just turn up on the day, with no need to register in advance and no need to be a National Trust member. Runs are free to take part. "The interesting thing that's happening at Longshaw is that it's turning out to be one that attracts more women than men, which I believe is a rare occurrence in 10k runs. "Over the past three runs we have had 484 runners, with 208 being male and 276 being female. We know there are a number of groups of women who come and enjoy the run without the pressure of a more formal 'race'. "The run is over a two-lap course, which measures 5.5k for the first lap and 4.5k for the second. If 10k is too much, just one lap is fine. Although timings are available and results are published, it's a very relaxed, friendly, informal event. "The big motivation to take part is the fantastic scenery on offer, taking in ancient woods moorland and awesome views, and we've had some excellent feedback on the events staged so far." 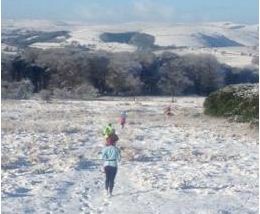 The Longshaw run is held throughout the year. 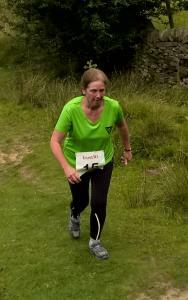 "What a wonderful event in a glorious setting at the Longshaw Trust 10k… Mindfulness!" "It was my first official 10k run and hopefully, not my last! I found the whole experience inspirational and one which has given my general 'keep fit' training more context, meaning and purpose. I am very grateful to the people responsible for organising the event, along with all the volunteers for the work they did and the encouragement offered." "I enjoyed the atmosphere at the Trust 10, friendly and low key. It gave me the confidence to have a go at my first ever race, and I now take part every month." The latest Trust10 at Longshaw takes place this Sunday. Please note that while the event is free, normal parking charges for the estate apply. The meeting point for the event is at the Longshaw Tearoom. Registration is on the day only and opens at 8.15am. The run starts at 9am. At registration, a name, e-mail address and emergency contact details will be taken and be given a number. Once you have registered, all you will need to do at subsequent events is to sign-in and collect a number. Safety pins are provided, but if you can bring your own it would be appreciated! You can get more information by contacting ruth.tweedie@nationaltrust.org.uk or calling 01433 631757.